We really appreciate your feedback. See what others are saying about Ava Water Filter. “Purchasing the reverse osmosis system and installing it in my home was one of the best things I’ve ever done for my family. Everything about the process was easy; the order, having it shipped right to my door, and installing it myself in no time at all. I never had to pay for a handy man to come fix it, the instructions were easy enough for me to do it myself. I am so glad I got this system, but my only regret is not buying it soon! My family and I now enjoy the purest, freshest-tasting water I’ve ever had and we never even have to think about! Highly recommended service!” –Paul M.
“I have city water and decided to purchase the shower filter for both showers in my home. The horrible egg smell and the awful residue that the hard water leaves is now completely gone. Getting well water is not an option where I live, so this was a cheap but effective alternative. Very easy installation! It works like a charm. I know have no chlorine smell, and it’s drastically improved the feeling of my hair and skin. No more chemicals in my water! I will be a customer for life and have referred all of my friends and family to Ava!” –Janet D.
“FIVE STARS! We’re currently renovating a condo. It’s been a nightmare every step of the way, with the one bright spot being the service we received from Ava Water Filters! Absolutely fantastic experience. This company gets customer service. 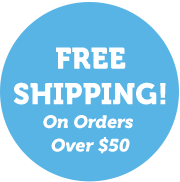 My calls were answered instantly, pricing was extremely competitive, and the simplest worry free shipping around. They treated me with the up most respect, and weren’t bothered by any questions I had for them, big or small. I trust this company and would recommend them to anyone!” -Mary L.
© 2019 Ava Water Filter. All Rights Reserved.